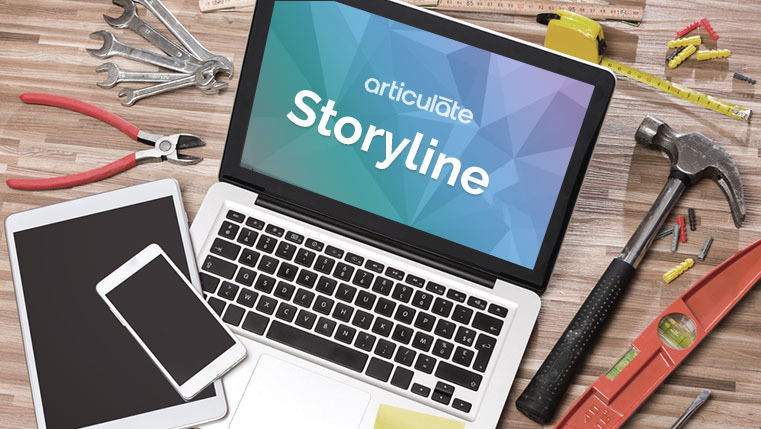 Creating games for e-Learning courses is a difficult task, but Articulate Storyline makes this task pretty easy. 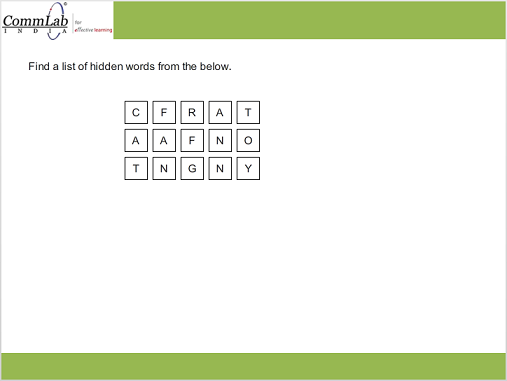 Word puzzle is a gaming interactivity which is also used as a survey assessment. 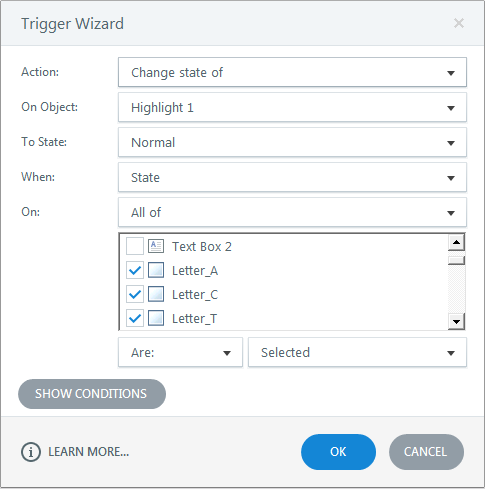 We can create a word puzzle in Articulate Storyline using toggle variable and States. Let’s see how it’s done! Create a puzzle slide as shown below. 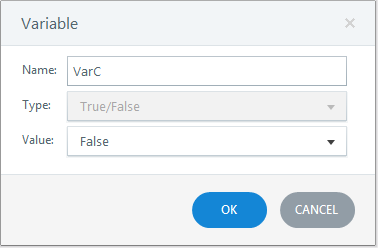 Create a Boolean variable “VarC” for the letter “c”. 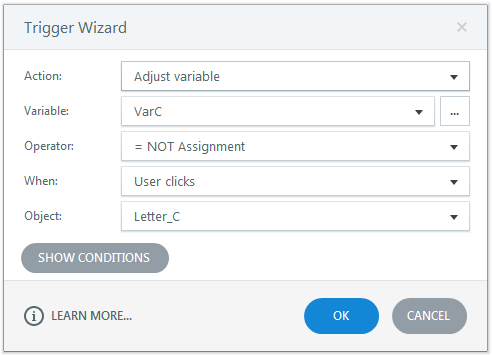 Convert the variable “VarC” into a toggle variable when user clicks the letter C.
Create a selected state with a light green color fill for all the letters and add the triggers given below. Trigger 1: Change state of Letter C to selected when user clicks, on condition VarC is True. 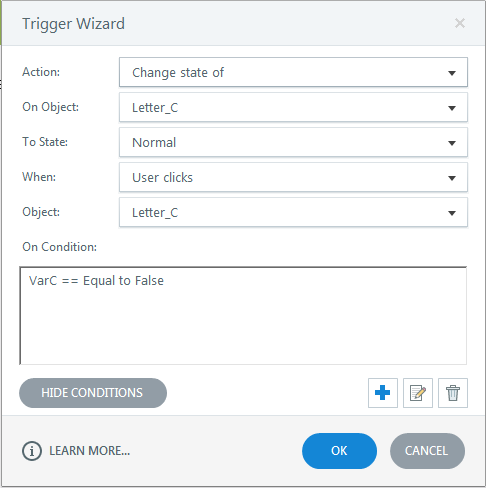 Trigger 2: Change state of Letter C to normal when user clicks, on condition VarC is False. Repeat this step for all the letters in the puzzle. Create a highlight line for all the words in the puzzle. The initial state of the highlight is hidden. 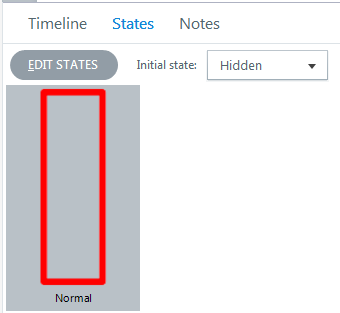 Change the state of highlight to normal when all the letters in the particular word are in the selected state. Repeat this step for all the words in the puzzle. Then publish or preview the course and see the output. 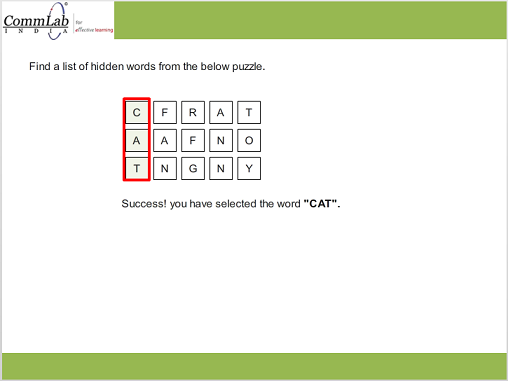 Go ahead and create your own word puzzles. Hope you found this post useful. Do share your thoughts.